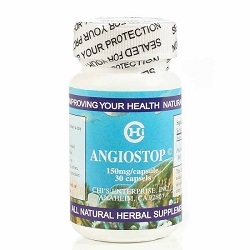 Each 2 capsules of Angiostop contains Sea Cucumber 500 mg.
"Angiostop Helps Maintain normal immune health"
If pregnant or breast feeding ask a health care professional before use. No toxicity has been noted at normal doses. Patients with cardiovascular disease should use caution and, as with cancer patients, only use this product with a physician's supervision. Bacterial RNA for your health. A perfect combination of immune and growth factors.